Camden Hills players celebrate after they beat Scarborough 1-0 to win their third straight Class A girls' soccer state championship game on Saturday in Bath. 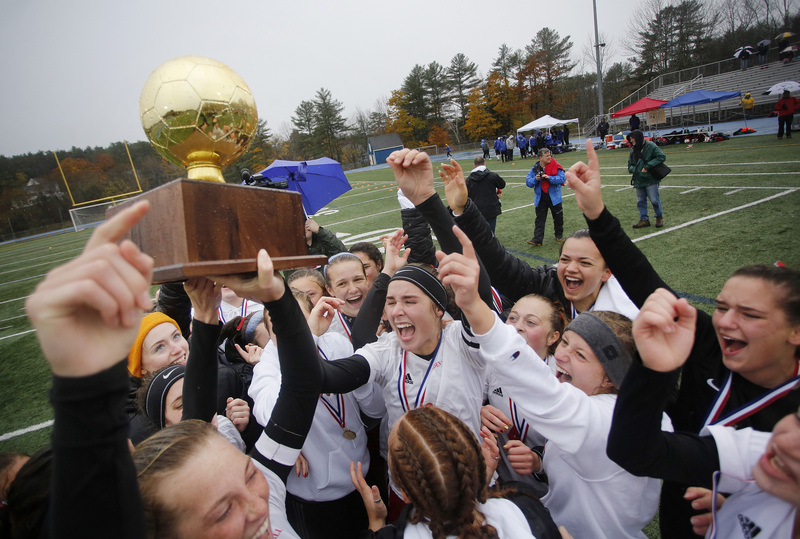 Camden Hills celebrates with the Gold Ball after beating Scarborough 1-0 in the Class A state championship game on Saturday in Bath. 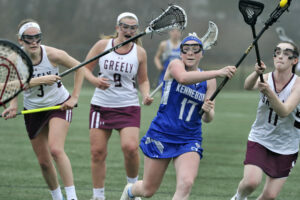 The Windjammers won their third straight title. 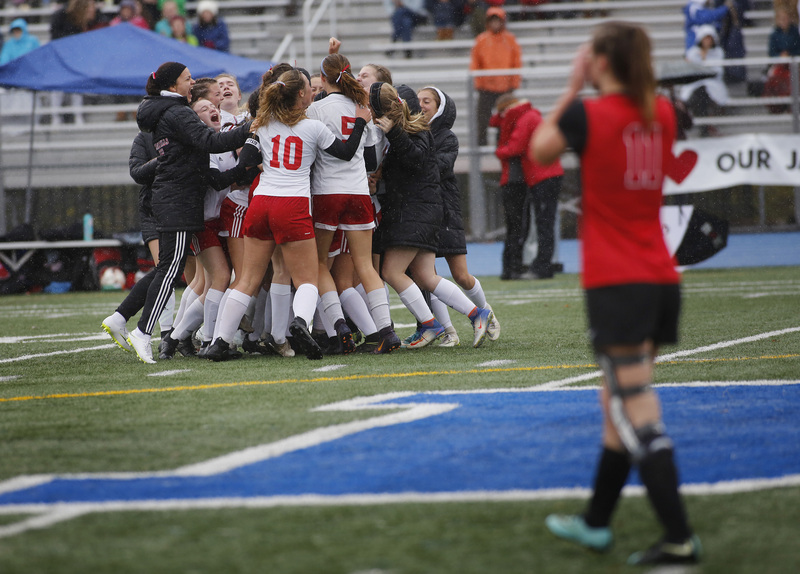 Camden Hills celebrates after beating Scarborough 1-0 in the Class A girls' soccer state championship game on Saturday in Bath. 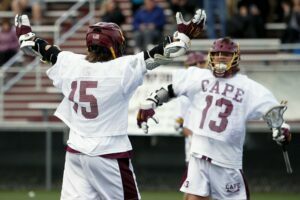 The Windjammers won their third straight title. 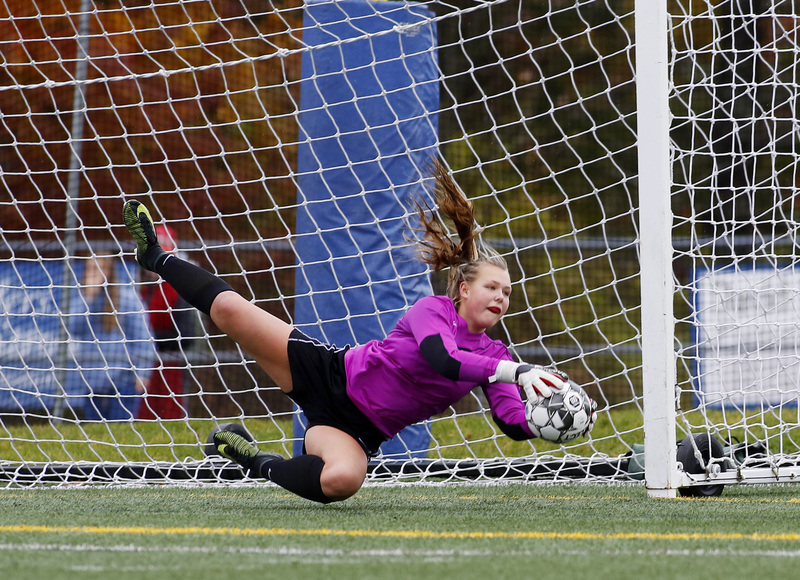 Nicole Young of Scarborough kept the Red Storm in the game with some diving saves, including this one in the first half of the Class A girls' soccer state championship game Saturday in Bath. 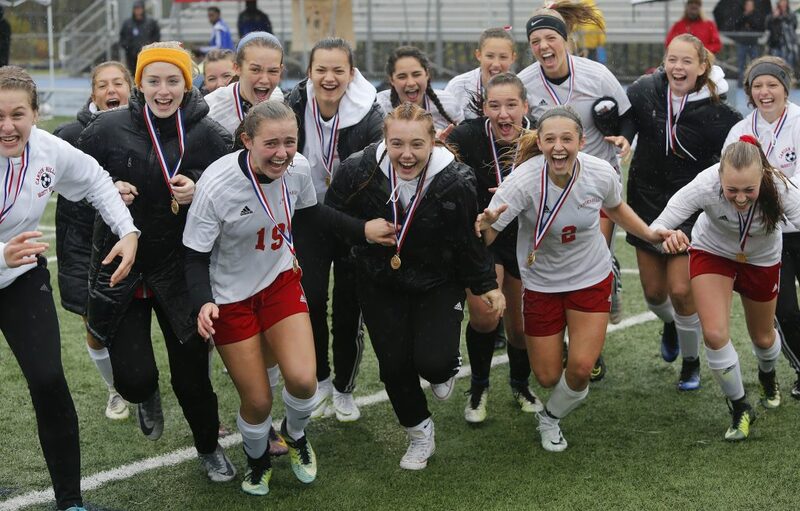 The Windjammers held the Red Storm to just three shots and won 1-0 to win their third straight state title. 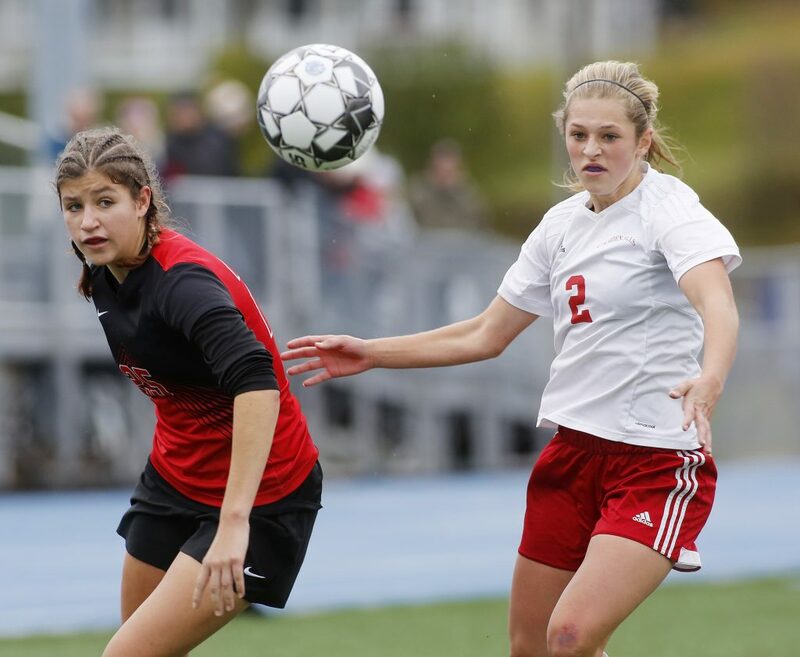 Madison Scammell of Scarborough, left, and Kristina Kelly of Camden Hills keep their eyes on the ball during the first half of the Class A girls' soccer state championship game on Saturday in Bath. 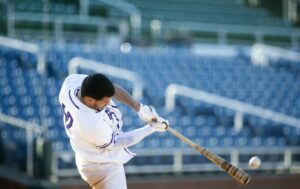 The Windjammers won 1-0 to win their third straight state title. 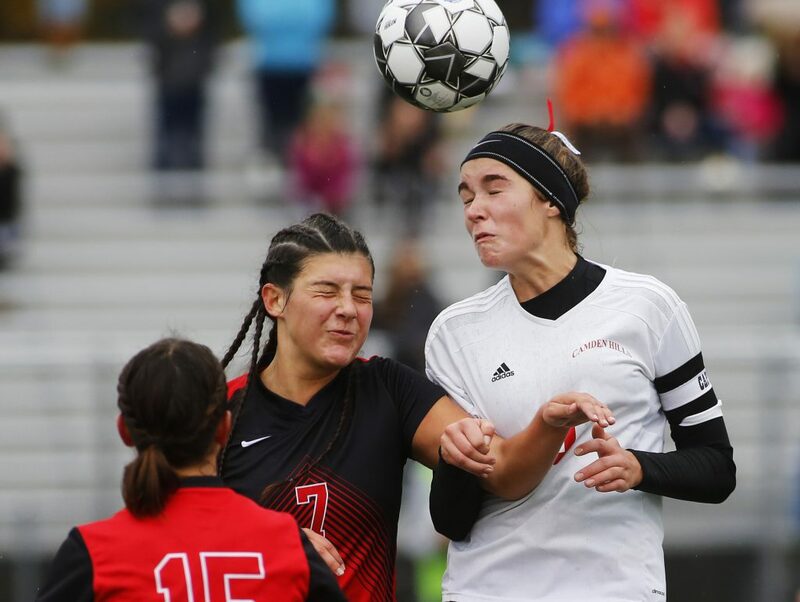 Sophia Martens of Scarborough, left, and Eliza Roy of Camden Hills vie for a header during the Class A girls' state soccer championship game Saturday in Bath.  The Windjammers won 1-0 to win their third straight state title.